In this three part activity, yOung learners will first make a balance using a plastic hanger,Then weigh a variety of small objects UsInGCandy corn, and finally make a bar graph. The first thing that you and your child will do is make a balance from the hanger. Cut two pieces of yarn approximately one foot long. It is more important that they be the same length than it is for them to be one foot long. 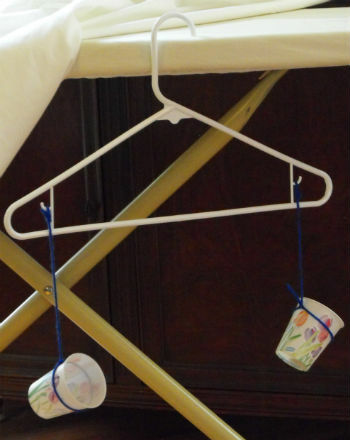 Loop the yarn around one cup and hang it from one hook on the hanger. See photo. Repeat with second piece of yarn and second cup. 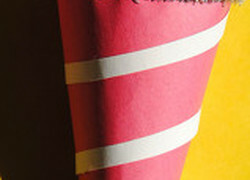 Does the hanger balance – do the cups hang at the same level? If not, put a coin in the highest cup to weigh it down. Add coins until the hanger balances. Find a variety of small objects to weigh. The objects have to fit in the cups and be light enough that several pieces of candy corn will equal the weight of each. Select the first item to weigh. Place it in the right hand cup. This cup will dip down because this side of the balance now weighs more. Help your scientist balance it with candy corn. As he works, it may be necessary to wait for the balance to stop swaying. How many pieces of candy corn did it take to balance the object? Make a list as you weigh each item. Hair clip = 1 candy corn, lip gloss = 8 candy corns, toy car = 12 candy corns, etc. 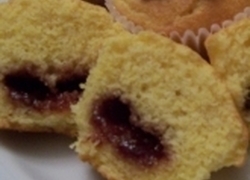 Once your child has weighed each item, help him make a bar graph showing his results. Working with a clean sheet of paper, on the left hand side, list the items that he weighed. Beside each item, lay out the appropriate number of candy corn pieces: 1 for the hair clip, 8 for the lip gloss, 12 for the toy car, etc. Be sure that “zero” for each bar is in the same place so that your young scientist can easily tell which item weighed the most. 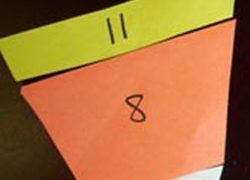 This activity will put those Halloween treats to good use by using candy corn to help your child with her subtraction skills. 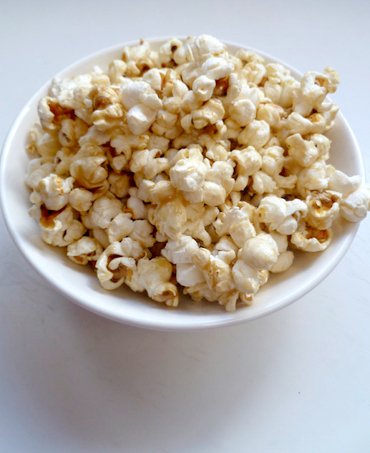 This year, ditch the boxed caramel corn and spend some quality time in the kitchen making your own! 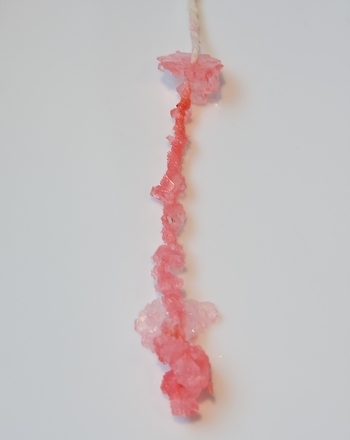 Turn sweet treats into miniature masterpieces with this candy melting activity! Kids follow corn as it grows from seed to vegetable on this simple cut-and-paste growth chart. 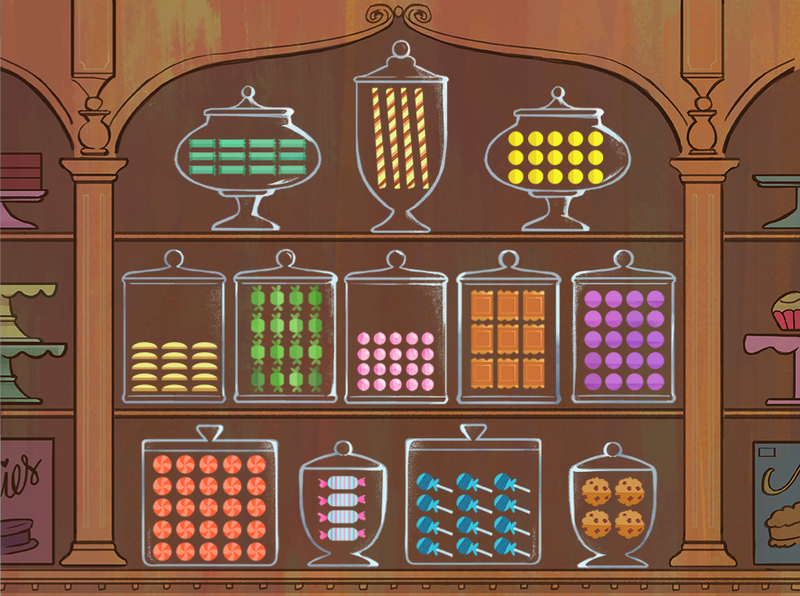 This quick quiz set at the candy store is packed with addition and subtraction review. 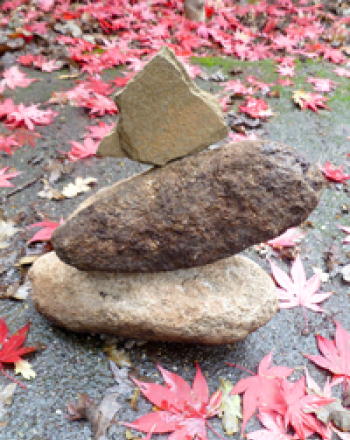 Play with balance and simple engineering as you hurry to create a sturdy rock tower. 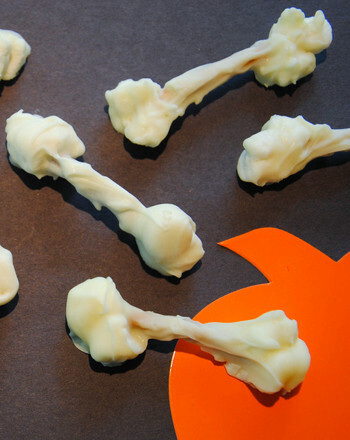 Make this easy recipe for Halloween, featuring white chocolate and pretzels, for a crispy, creepy treat!